Is entourage effect worth marketing by cannabis companies? They call it the “entourage effect,” and some cannabis businesses have increasingly paid attention to it as a unique way to market and sell products. The entourage effect is a complicated subject that people working in direct contact with cannabis customers may not be fully equipped to explain. Some scientists dismiss the theory as unproven. Funding around the research of the entourage effect has been sparse. “There are at least 36 cannabinoids that we know the cannabis plant produces, and if we focus just on THC, we miss the medicinal properties of the plant,” said Steve Ottersberg, president of Green Lab Solutions in Durango, Colorado. The entourage effect entered the marijuana industry’s consciousness a couple of decades ago, and most MJ businesses today have a basic understanding of it, noted Brad Bogus, vice president of growth and marketing at Confident Cannabis, a California firm that offers an online software platform for testing labs, producers and retailers. Some cannabis businesses – particularly those involved in concentrates, oil and oil-related products – have added the entourage effect to their marketing repertoire. “Companies that are involved with things like concentrates, vape pens, tinctures, balms, creams – you’ll see 10% to 25% of them use the entourage effect in their marketing,” Bogus said. Consumer guides that discuss how different compounds found in cannabis have different effects. Website information discussing the entourage effect. Education events held at its facilities where staff talk about the entourage effect and how plant compounds work together. Kimberly Dillon, chief marketing officer at Papa & Barkley, estimated that about 30% of the firm’s educational and marketing content is devoted to the entourage effect or related subjects. While a growing number of companies are aware of or are trying to market the entourage effect, it’s difficult to pull off successfully. The subject is complicated. And many employees at marijuana businesses – particularly those who have contact with consumers – aren’t equipped to explain it, Confident Cannabis’ Bogus noted. Many scientists dismiss the entourage theory as unproven at best, and a sham at worst. “(There’s) not a lot of data,” Margaret Haney, a neurobiologist at Columbia University in New York City, told Scientific American magazine last year. Many entourage believers agree with skeptics that more studies need to be done about the entourage effect. They argue that while there is already ample evidence of the entourage effect, more studies will further prove that it’s real so it can be harnessed for medical and consumer purposes. “With time, we’ll get to understand what the benefits are. For now, it’s empirical. Sometimes you have to use anecdotal data,” said Juan Sanchez-Ramos, a neurology professor at the University of South Florida and the medical director for 3 Boys Farm, a licensed medical marijuana company in Florida. Pioneering Israeli cannabis researcher Raphael Mechoulam noted the entourage effect in cannabis in a 1999 article in Natural Products Journal. “This type of synergism may play a role in the widely held view that in some cases, plants are better drugs than the natural products isolated from them,” Mechoulam wrote. In 2011, neurologist and cannabis researcher Ethan Russo wrote what is sometimes referred to as the seminal paper on the entourage effect in the British Journal of Pharmacology, providing a foundation for how it works. The effect has been explored since then, but the research is still relatively scant. More recent studies also support the existence of an entourage effect. For example, one recent study in Brazil found that whole-plant CBD extracts were more effective against epilepsy than pure CBD extracts. Some experts suggest that, by itself, THC is not a great chemical – boring at best and paranoia-anxiety-inducing at worst. Scientists learned that after studying Marinol, a THC-only drug for nausea and appetite loss. “It’s a tremendous flop because, by itself, THC is hard to tolerate,” Ottersberg said. CBD, however, is known to counteract paranoid feelings that THC can induce by attaching itself to biological receptors and limiting the amount of THC that can be received, thereby limiting the paranoid effect. “The future is systematically manipulating proportions of common components and studying the combinations,” said Sanchez-Ramos, the neurology professor and 3 Boys Farm medical director. Other areas of research include exploring if the entourage effect is weaker or stronger depending on whether it’s smoked, vaped, eaten or consumed another way. 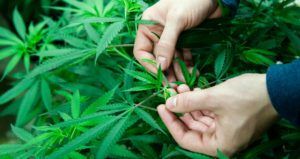 U.S. universities have also been hamstrung in cannabis research because of federal prohibitions, while a small number of private businesses are researching the benefits of the entourage effect, Russo wrote. This is absolutely a real thing. For example, eat an edible that is made with Distillate vs whole plant material. Also, smoke a distillate dab and then take a bong rip and pay attention to how the two different feel in both scenarios. From a business standpoint, I am not surprised to see that these newbies still don’t understand what their selling. The coming evolution of the Cannabis industry will most likely see a complete morphing of the grower to manufacturer to dispensary system. While the recreational market may continue to sell flower and concentrates as a drug to recreate with, the medical side which has a massive growth potential should see the industry change by law to FDA, NSF, CGMP certified Pharmaceutical companies. Formulation of the Cannabis properties will be designed to provide the best treatment for the patient. The 36 cannabinoids discussed in the article is off by about 90 or so. The Phytocannabinoids are even more numerous. The potential for real medicines designed to interact with our endocannabinoid system is vast. Our industry while underground for 70 or so years, damaged through its underground breading the wonders of this plant to increase one cannabinoid. It’ll take a few years of medicinal breading to repair this damage. In my opinion, the vast majority of cannabis products will never intoxicate anyone and be available on CVS type store shelves. The THC products will be sold the way cigarette’s in locked displays are sold. Remember the video rental stores, they made a killing and were considered cash cows, until somebody came up with a better delivery system. Within a few years of Netflix the 21,000 video stores were completely gone, the largest ones like Hollywood and Blockbuster went bankrupt as they had huge debt and stockholders that were misled about the potential for longevity. When I’m choosing my cannabis medicine, I’ll go to the canna isle, when I want to recreate I’ll go to the other counter, where the good stuff is. Yes, I’m all about the medicine, but I love a beautiful dank bud at night. MCRCM in Marin County and others are doing the kind of research the article speaks to. Let’s get these groups the funding necessary to understand the value of this plant. Yes more research is needed, unequivocally, across the board. But, in light of the overwhelming amount of people with firsthand knowledge of effects, the shortage of peer-reviewed studies is not a legitimate basis upon which to consider talk of synergy / ensemble as purely profit-driven. 35 years ago after being in a coma for three months my neurologist told me to go out and find marijuana and smoke it for the rest of my life…i did and became very successful in life. A very high percentage of people with severe TBI kill themselves because the pain and emotional distress are just to much to bear. I never once just did the CBD thing, never vaped it either. Just smoked it, had a few edibles a few years ago that didnt do anything for me. For me its like the trinity…separate them and you dont have the power. Together you have the power necessary to cure all ills. If plants were fractal then yes one part would have the same power just a smaller dose but they arent. My only fear with all the separation of ingredients will be the dilution of strength to where they are simply sold as money makers with no real “cure” in them. My wish and hope is that recreational goes legal in the whole world and people have a choice between a cure and a myth. Look at the success the underground geneticists accomplished in last 20 years…increasing the THC content of the plant from 3 % to near 30% without any research funding…..surely the cannabis companies can invest a little of the $$ they are raking in to do the same…or are they following the model of Monsanto /Bayer? If this is not to happen….. then I am confident that “in the ground” cannabis growers(at least in CANADA) will create new and exciting genetics with more “entourage” cannabinoids and not just THC. The ensemble effect is real. Otherwise, how could different strains have such varied effects? Cannabis is chemically and psychoactively complex. Obviously, the multitude of effects and benefits are not yet well understood. In the meantime, my personal research is very rewarding! As with nearly everything in this industry, the very real palliative potential of whole-plant ensemble effects is being diluted by slick marketing. More research, yes, always. And, more support for craft cultivators growing in the living soil and sunlight that allows for the full expression of diverse phytochemical profiles. Based on my recent conversations with Dr. Russo, what is urgently needed is increased genetic diversity (i.e., landrace, heirloom genetics) and repeatability. Both of those barriers will be overcome as indoor cultivators incorporate biomimicry tech designed to emulate nature, not engineer around it. Sunlight and living soil are irreplaceable. I live in Austria and have no possibility to get medical weed here. I agree that, more studies need to be done about the entourage effect. A single study wont justify the result that researches want to know. TCH and CBD has its own effect on a users body that is why researches must take their time in doing their project.